Home » Retirement Planning » Will Social Security Be There For Me When I Retire? Understanding whether or not Social Security will be there for not only you but for anyone requires some digging into how Social Security came to be and what its current funding situation is. Social Security was created with the Social Security Act, which was signed by President Franklin Delano Roosevelt (FDR) on August 14, 1935. The act covered more than just Social Security and set up national unemployment programs along with allowing financial help to states to pay for health and welfare programs. Social Security paid the first benefits to retirees in January 1937 and soon grew past its original intent and began paying benefits to more than just retired individuals. In 1939, the law was amended to add benefits for survivors as well as the retiree’s spouse and children. Throughout the years, more benefits were added, such as disability payments. As of February 2018, over 67 million people in the United States receive some form of Social Security benefits. Social Security is funded mainly by payroll taxes known as Federal Insurance Contributions Act tax (FICA) or Self Employed Contributions Act tax (SECA). The IRS collects these tax deposits specifically for the two Social Security trust funds: the Federal Old-Age and Survivors Insurance trust fund and the Federal Disability Insurance trust fund. Minus some exceptions, all salaried income in the United States is subject to Social Security payroll tax, up to a certain amount determined by law. If your salary is at or over $128,400 (2018), it is not taxed. You may hear dire predictions about Social Security disappearing or running out of money around election time. This is understandably terrifying to many who already rely on Social Security or are close to retiring and do not have substantial savings. The truth is Social Security has taken in more in taxes and other income since the 1980s than it pays out every year. In 2010, the Obama administration began adding benefits to the program and Social Security started to use income from interest to pay for benefits instead of being able to pay for everything from tax collections. Is Social Security In Danger? While Social Security is not running out of money at the moment (it’s currently funded through 2034), there are concerns due to the increasing number of beneficiaries with a possible reduction in the number of people paying into the system. However, with current projections, Social Security will be running at a surplus on an annual basis until 2022. After that, the investment income and lower taxes paid in should still fully fund Social Security benefits through 2034, another decade after 2022. However, those projections are based on the idea that no changes will be made to Social Security tax rates or benefit rates. Chances are high that such changes will happen to save the program. Even with the projected shortfall, projected tax collection alone would be enough to pay 75 percent of benefits on an ongoing basis, so benefits would not abruptly stop. Normally, Social Security funds are adjusted either by raising social security taxes or reducing benefits. Benefits can be reduced by raising the retirement age, reducing the cost of living increases, reducing rates for future retirees, and phasing out benefits for wealthier retirees. The 1980s reforms, which included the Social Security Disability Benefits Reform Act of 1984 put Social Security back into having a surplus, reduced eligibility for new disability benefits, set up procedures to remove benefits from those receiving them fraudulently and added reviews every three years to better catch when temporary disabilities end. The age for claiming full Social Security retirement benefits has increased from 65 to 66, and in 2027, the age will rise to 67. Increase the Social Security tax rate. This would increase the rate of tax charged based on income to offset the lower number of workers paying into the fund. As of 2017, the tax rate was 6.2% of income (your employer pays another 6.2%) up to the income cap. Increase in which wages are eligible to be taxed. This solution would increase or eliminate the income cap, which currently is adjusted regularly by small amounts. In 2017, the cap was income over $127,200. This solution is plausible because while higher-income Americans may not need Social Security after they retire, there is no guarantee they will continue to make high wages or have more funds once they retire. Raising the cap significantly, or eliminating it, ensures that everyone who might use Social Security later pays into the fund. Make Social Security benefits 100 percent taxable with taxes going back into the fund. No one likes higher taxes, but while this option would not completely fund Social Security, it would simplify the tax code while providing more funding to the Social Security system. There are currently formulas and thresholds used when figuring out what, if any, Social Security benefits are taxable. This maze of regulations often requires seniors to pay for help with getting their income taxes filed. Making Social Security income 100 percent taxable would simplify the system. Raise the age for benefits. While the age to receive full benefits is gradually increasing to 67, some want to raise it to 70. There is also the possibility of eliminating or raising the early benefit eligibility age of 62 so that retirees have to wait until the higher age to begin drawing benefits. This proposal can be controversial because there is a long gap between when people often retire in their mid to late 50s and age 67 or 70. Reduce or remove benefits for those with higher savings or income. Sometimes called means testing, this proposal would drastically reduce or eliminate Social Security benefits for those currently receiving other income at a specific rate. This is intended to go back to the roots of Social Security being a safety net rather than a government-sponsored savings account. For example, benefits might be eliminated if a retiree has an annual source of income of $100,000 outside of Social Security. Will social security be there for you? The short answer is that it probably will be paying out benefits for decades to come. While Social Security is not guaranteed forever, it is in good shape for payouts through 2034 and 75 percent payouts after that even if Congress makes no changes to the system. 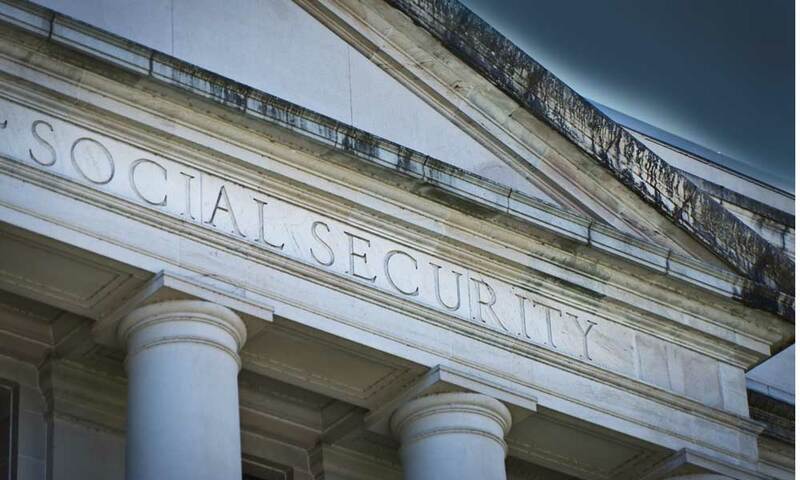 However, Congress is likely to make some changes to ensure Social Security’s viability, as has always happened in the past when the program faced failure. Contacting your representatives in Congress and letting them know your concerns about Social Security and how much Social Security you’ll get is always a good plan of action to remind legislators that a specific issue needs to be addressed sooner rather than later. How Do I Open An IRA? How Much Money Do I Need to Retire? Is Social Security Income Taxable?